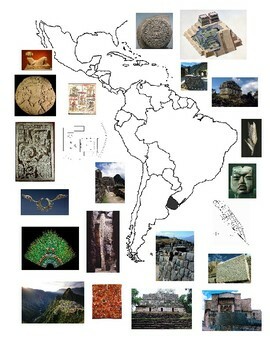 This is a map I assign for AP Art History Indigenous Americas and it includes the required work for Mesoamerica and South America in addition to the Codex Borgia. I cut a piece of white sulphite paper 11" x 17". They mount the map in the center, glue the images around the map, label the map, and fully identify the artworks.